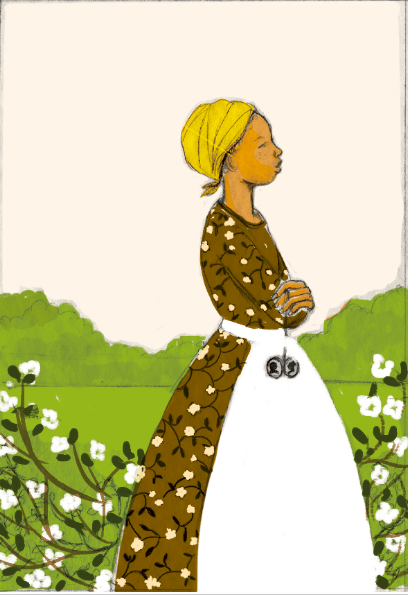 This week marks the release of “Never Caught, the Story of Ona Judge: George and Martha Washington’s Courageous Slave Who Dared to Run Away; Young Readers Edition”. In this incredible narrative, Erica Armstrong Dunbar reveals a fascinating and heartbreaking behind-the-scenes look at the Washingtons when they were the First Family—and an in-depth look at their slave, Ona Judge, who dared to escape from one of the nation’s Founding Fathers. The adult version of this book was A National Book Award Finalist for nonfiction. 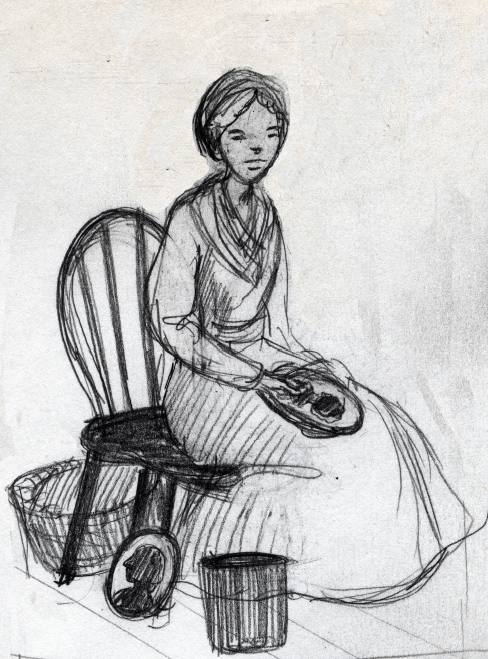 The young adult version was brought to readers by Erica and Kathleen Van Cleve. Prior to working on this cover, I had never heard of Ona Judge. 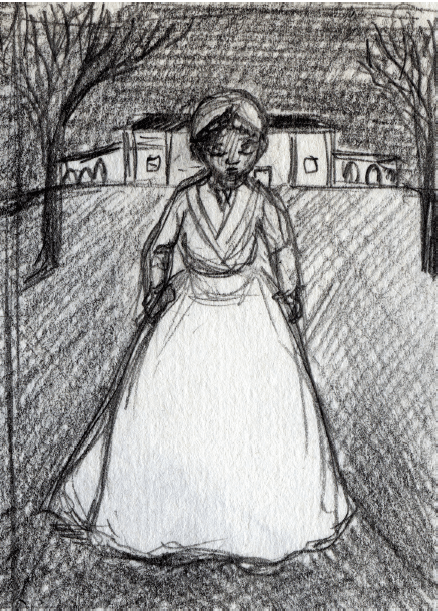 I listened to the audiobook in order to hear the entire story before beginning sketches. Many times when I am assigned a cover, I get a brief that points to other book covers that handle similar subject matter along with samples of my own art that the art director has in mind for the job. In this case, they sent along one of my popular paintings, Lineage. Ideas develop for me through research and through drawing. 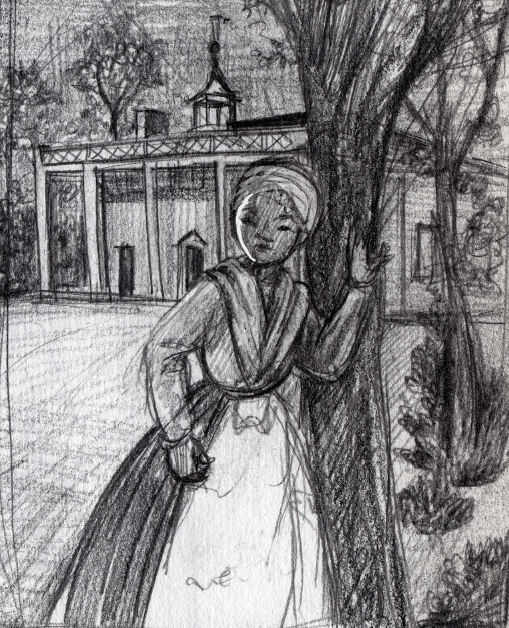 After a quick research trip down the road to Mount Vernon, I sent along a few ideas that I felt would make for an interesting cover for the book. 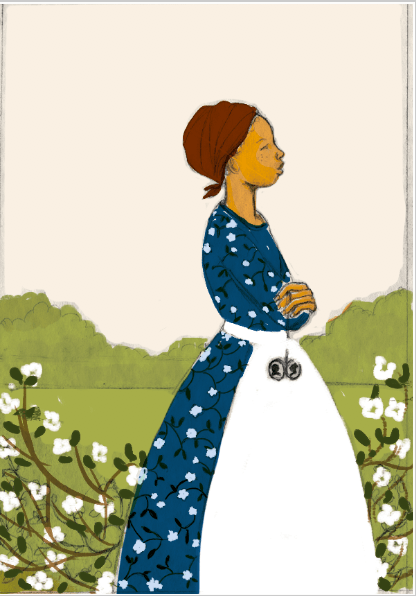 My biggest challenge was to make a cover that focused on Ona instead of the Washingtons. Many of the initial ideas were of Ona running away from Mt. Vernon. 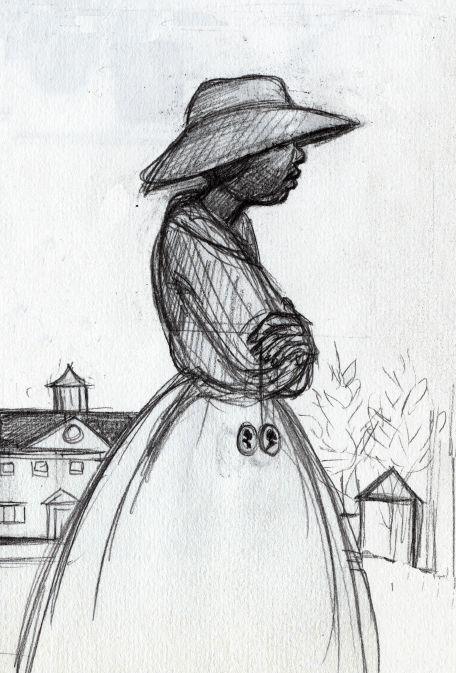 But after a few rounds of those ideas, I played around with a simple profile and the Washingtons in a cameo. Once I finished that sketch, I knew I was on to something I’d be happy with! From there, the art director sent feedback and I sent along revised sketches and then digital color studies with ideas for the back cover. After a few rounds of color discussion we agreed on a pink sky and teal dress. Final art is watercolor and gouache with a little digital finishing. Per usual, I had to paint this a couple of times before I got what I wanted. The flowers on Ona’s dress are mountain laurel and the vines growing around her are jasmine, both native to Virginia. And the final cover is Ona with a pinkish sunrise with teal dress and white on black cameos for contrast. I think it turned out great!! Many thanks to Laura DiSiena for the direction! And congratulations to Erica Armstrong-Dunbar and Kathleen van Cleeve on bring such a powerful story to young readers! You can purchase Never Caught, both adult and young reader’s edition from your local bookseller. Stay tuned for another cover story next week! Omg I completely forgot about Ona Judge. I remember reading about her way back when. Thanks Fran for reminding me about her.